Ensure your family’s safety by having your home’s electrics tended to by our professionals. We offer a range of domestic services that are completed by our skilled workforce. Keep your business running smoothly with professionally installed electrics. Our experienced contractors provide a range of commercial services for any kind of company. Contact our professional electricians today, in Plymouth, Devon, to acquire more details about our wide-ranging electrical services. 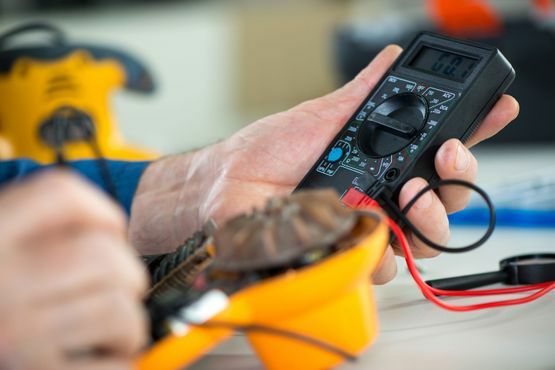 AP Electrical Contractors Ltd provides a full range of electrical services that can be tailored to suit both your domestic or commercial needs. Based in Plymouth, Devon, we’re a reputable team of electricians that are dedicated to the profession. With a skilled workforce on hand, you can rely on our contractors whenever you’ve got an electrical fault at your home or business. Informed by more than 15 years of experience, we’re a team of NICEIC™-approved electricians that offer a range of excellent services. AP Electrical Contractors are based in Plymouth and serve nearby towns including Ivybridge, Tavistock, Liskeard, and Saltash. We are also available for commercial work throughout Devon and Cornwall.